Enjoy the convenience of Grab. Grab a ride now! Earn Cashback off your Grab rides. Be sure to look out at ShopBack for the latest promo code for bigger savings! Grab: Book Grabshare and earn Cashback! Find the latest promo at ShopBack now! Grabcar: Enjoy Cashback rewards or get maximum savings by looking for the latest Grab promotion at ShopBack! Getting around made easy and affordable! Get Cashback as you get around in style with GrabCar Premium Be sure to visit ShopBack for the latest Grab promo code to save more! 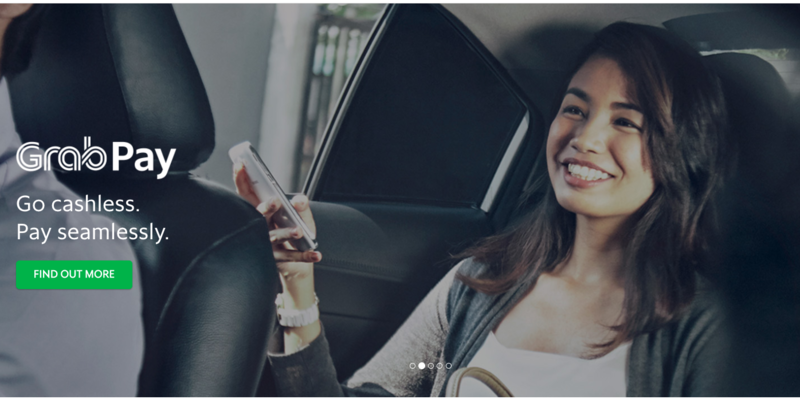 Travel with style with GrabCar Premium! Accesibility for all: GrabAssist makes sure everyone gets a ride! Earn Cashback and find the latest Grab promo code at ShopBack and enjoy more savings! Let grab bring you around! Get Cashback and a better experience with Grabcar+! Additional savings can be yours - just look for a Grab promo on ShopBack! JustGrab: Book with the Grab app now and get Cashback! Find a code at ShopBack for bigger discounts now! Book your JustGrab with ShopBack! Get Cashback on your Grabfamily bookings or look for a Grab promo code at ShopBack to save even more! Perfect for parents of little ones! Get Cashback on your Grabcoach bookings. Look for Grab promo code on ShopBack for even more savings! Looking to move the masses? Grabcoach has you covered. Book today! ShopBack and Grab reserve the right to revise the T&Cs or to suspend or terminate the promotion at any time without prior notice or liability to any person. Grab Your Way to These Ulu Restaurants Before They Become Packed! How To Hack ZALORA's Birthday Sale and Grab an Extra 50% in Discounts! Are you looking for an effortless solution regarding transport service? Grab is one of the fastest growing companies in South-East Asia which provides one-stop transport facility for a wide range of customers. The journey of ‘Grab’ started from the inconvenience of getting a taxi in the South-East region of Asia. The simple vision transformed into a bigger dream when the Grab started along with ‘My Teksi’. Currently, Grab is located in six countries and provides daily service to the customers. Let’s look at the different places which can currently get this service by Grab. The Grab service currently is available not only in Singapore itself but also in Malaysia, Indonesia, Thailand, Vietnam, Philippines, Myanmar, and Cambodia. Grab taxi ensures the flexible payment procedure where you can pay according to your wish – either by cash or card. All the rides are legal and well-insured by LTA which makes the travel a lot secure. Taxis by using Grab service is more readily available than by any other way. Thus, you can avoid the long waiting time and make your journey hassle-free. Grab partners with the drivers from Citycab taxi, Comfort Taxi, Premier Taxi, Transcab, prime Taxi, SMRT. Grab car service is tailored according to the customer needs with different options – from economy to premium services. Know the exact fare before booking a ride. Your accident insurance is done by Grab and thus, they cover your safety too. Through Grab, you can book screened drivers rated by you, to get the best-secured ride. Mental peace matters while you travel. Booster seat use is $2 per seat/per child. Grab Hitch: Grab Hitch is a wonderful option for you with respect to your daily transport. You can expand your social network by meeting people from every walks of life. It gives a stress-free cashless transaction option where you can hop in and out while enjoying your special ride. 40 seat allotment: For a huge team or camping etc. The Fare for Gab Shuttle: Fare depends on the route chosen and it doesn’t have any surcharge. It ranges from $3.50 - $5 according to the route, distance does not make any difference. Grab Shuttle Plus: It’s an on-demand service for the passengers from Punggol bus-stop area in Singapore. People get this service from and to the bus stop at a very affordable price. Service hours are 0600 to 2200 daily which includes public holidays. Vehicles are 13-23 seaters and all air-conditioned. Fares: Fares are fixed for all rides that are $1.20 per ride with a guaranteed seat availability. Grab Promos and offers: Four free GrabShuttle plus with the promo code ‘SHUTTLEPLUS’ on the payment screen. Share your personal codes with your friends and they and you will get 2 free rides. Grab family: Travelling with children is always an important aspect of life and the safety matters more than anything else. The Grab Family comes with first on-demand child booster seat equipped car service in South-East Asia. It is a law that all passengers traveling in a hired-car, below the height of 1.35m and age of 4-7 years, shall use a child-safe device like a toddler-seat or a child booster seat with a seatbelt. Fares: It’s just $2 or $4 more than usual Grab car depending on the seats you use. The base fare is $4.50, per kilometer rate is $0.50, and per minute rate is $0.16. Per seat $2 is used during the ride for the children’s booster seat. Fares: The base fare is $2.50 ( per km rate is $0.50/ per minute rate is $0.16). Fixed fare when booked but depends on demand-supply ratio and surcharge is applicable as necessary. Grab Promos and offers: while flagging a taxi, you can enjoy the benefits of Grab Rewards, cashless service, and promo codes instantly. With the promo code when available and you can get a dollar off each time you flag a grab taxi. Why should one choose ‘Grab Pay’? Link your debit/credit card and get loyalty points while spending for Grab rides. Enjoy the convenience and easy access of Grab. Grab a ride now. Download the Grab App for Android and save when you book a ride with Grab by booking through the app. Share your ride with another person and save up to 30% discount on your Grab ride. Use GrabShare to reach your destination. For 2250 Grab reward points, get a $5 voucher to use at Starbucks. Redeem from the Grab Rewards catalogue of Grab app. For 2230 reward points get $5 off at Mc Donalds, redeem from Grab Rewards catalogue. Enjoy $3 cashless rewards from Grab Pay with your homegrown merchant. Redeem the Cineplex’s movie tickets with 5300 Grab Reward points. Enjoy $5 off 3 rides from 22nd January (12:00pm) to 26th January (11:59pm), make in-store transaction of 1 Grab Pay of at least $3 at your favorite hawkers, stores and cafes. Affordable option, secured and assured service makes the Grab Singapore Transport one of the best business. Always stay updated with the list of social media links which will give you instant news about the current promos, offers, Grab promotions and news.